When traveling the roads, interstates, and highways across Texas, negligence on the part of one driver can lead to injuries and even death for others on the road. Whether distracted driving, speeding, alcohol, or other factors are involved, when an injury or other damages occur due to negligence, the responsible driver may be liable for compensation. Our personal injury lawyers can help. Even a minor injury can lead to overwhelming medical bills and other costs. Severe injuries could mean long-term disability, steep hospital costs, and a loss of income. In some situations, the victim may find themselves or their loved ones fighting for fair compensation. You may not know who to hold liable or how to ensure that you’re being paid a fair amount. An attorney at your side can help with every step of the process in seeking compensation for you or your loved one’s injuries. An insurance company may try to settle with a lump sum. This offer may sound like the answer to your concerns, but it is important to ensure that you are being fully compensated for both short and long term costs. For instance, spinal injuries may require months of physical therapy, special equipment for your home, and long-term use of expensive medications. Consult with an attorney to analyze your case so that you can confidently demand fair compensation for all of the damages. Also, be sure to tell your motor vehicle accident lawyers about all of your damages. If they don’t know about some of your losses, you may not receive everything you need to be made whole. The attorneys of the Law Offices of Mynor E. Rodriguez P.C. 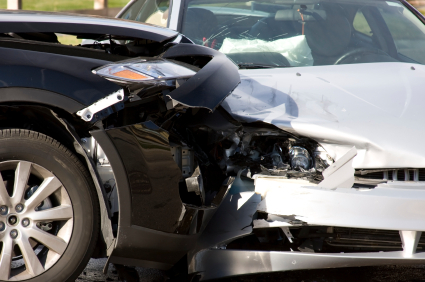 have tackled a wide range of accident cases. If you have been injured in an auto accident, our dedicated attorneys are ready to work tirelessly on your behalf while removing as much stress from your shoulders as possible. Contact our motor vehicle accident lawyers today.